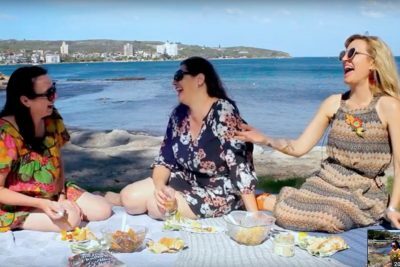 Holly Ringland has generously answered Word of Mouth TV's Q&A and we think you'll find the answers very interesting. In the process, Holly uncovered an unholy obsession with pancakes, so much so, that from here on out, we are considering dubbing the Q&A the pancake revelations. 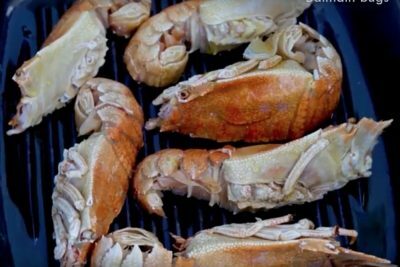 This Q&A swings from the depths of trauma to the dizzying heights of culinary joy - perhaps there's a link? Poets have immortalised food, particularly fruit, over the centuries, tantalising the senses at every turn. One thinks of Pablo Neruda's Tomatoes, or Thomas Campion's Cherry Ripe. 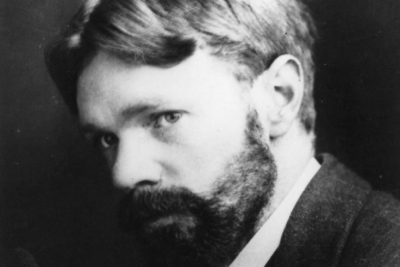 For Holly Ringland's edition, we have chosen D.H. Lawrence's Figs, given it is a warmer climate tree, and because it reminds us that, at the heart of all existence, lies desire and passion. No doubt you have all polished off the last round of book recommendations and are hungry for more. 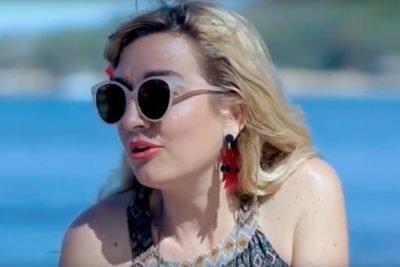 Never fear, Word of Mouth TV is here. 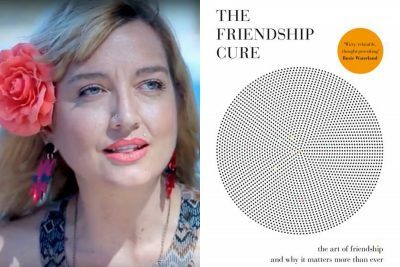 Holly Ringland serves up our first vegan cookbook recommendation, and a lovely non-fiction book about friendship, which is so fitting given Word of Mouth TV is about food, books and friendship. Happy reading! Thanks to Harper Collins and Murdoch Books, Word of Mouth TV has two beautiful book packs to give away this week for our Holly Ringland episode. What’s in the box? 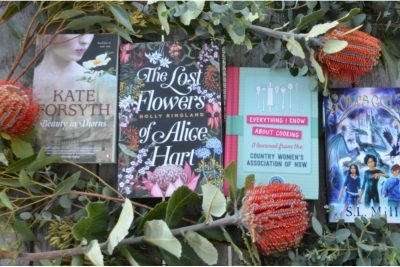 Holly Ringland's The Lost Flowers of Alice Hart , The Country Women's Association of NSW's Everything I Know About Cooking I Learned from the Country Women's Association of NSW , Kate Forsyth's Beauty in Thorns, and S.L. Mills' GOM’s Gold. An astonishingly assured debut, The Lost Flowers of Alice Hart is a story of love, loss, betrayal and the redemptive power of storytelling. It is both heart-breaking and life-affirming. A coming-of-age story with a vividly evocative Australian setting, this novel follows the story of Alice Hart who must learn to escape the shadows of an abusive father in order to build a life for herself. The Australian landscape, and its strange and beautiful flora, has a potent presence in the novel. 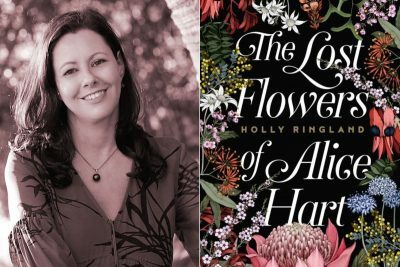 Holly Ringland's novel The Lost Flowers of Alice Hart is an ode to Australia's unique and exquisite flora, so it seemed fitting to use an Australian herb - lemon myrtle - to dress these delicious local Balmain bugs for our interview. 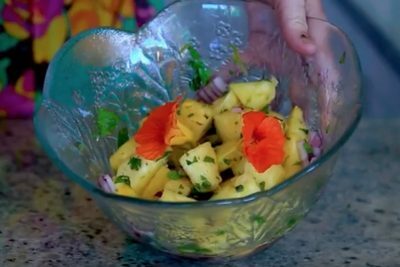 Accompanied by a pineapple and mint salsa, it was the perfect al-fresco meal for this unseasonally hot Autumn day.